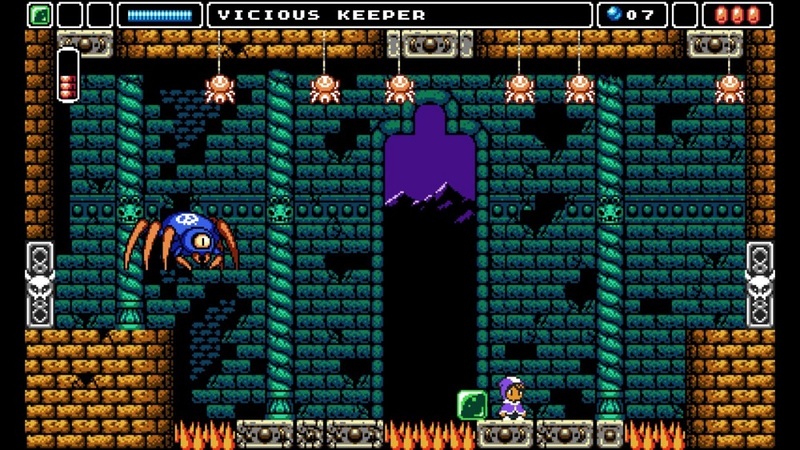 Elden Pixels' NES-style platformer, Alwa's Awakening, will launch on PS4 this week, Thursday in fact, following on from its previous releases on PC and Nintendo Switch. The 8-bit adventure follows you Zoe, as she attempts to restore peace to land of Alwa, armed with her trusty magic staff. In keeping with its old-school roots, Alwa's Awakening is a no slight task, with some 400 screens to explore and little in the way of hand-holding. Players search a huge interconnected map dodging traps and fighting off enemies, all back by a lovely chiptune soundtrack. As Zoe explores the map, she will discover new items to help her one her quest, as well as discovering various new uses for her staff, which will enable her to solve puzzles and overcome hurdles on her quest. You can check out a trailer for the Switch version below. Alwa's Awakening is available now on PC and Switch and will be made available to download on PS4 March 21.